Expand your client base and market share. Present your exciting new products and services to a targeted audience. Meet face-to-face with your current and future clients/partners. Have your voice heard among policy makers, top global business leaders, NGOs. Activate and expand hot leads database and find new business prospects. The only place in 2019 in Europe to meet all major player on the market in a relatively small scale of 10 000+ attendees which gives you much better chances to attract their attention and to have a meaningful discussions. 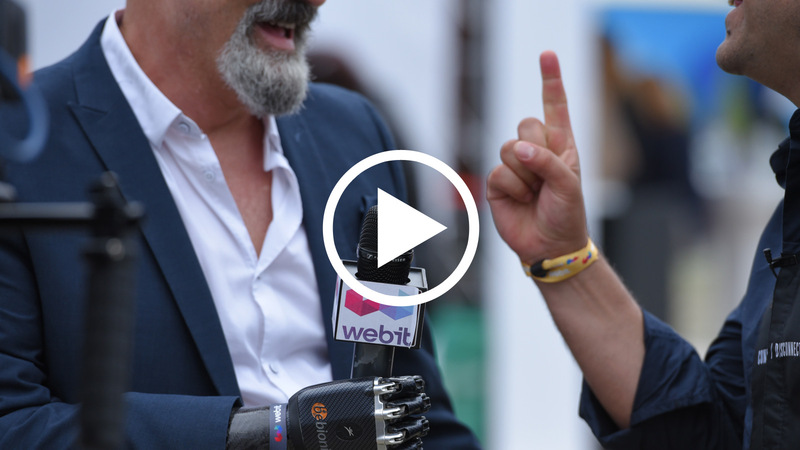 As an exhibitor at Webit.Festival Europe 2019 you will have the opportunity to present your exciting new products and services to a targeted audience, increase your brand exposure and meet face-to-face with your current and future clients and partners! Get involved in the process of innovation through legislation and to challenge the future of health and wellbeing in Europe! Get direct access to top level marketers, digital transformation experts, entrepreneurs, founders, innovators, members of the academia and enterprise executives from Europe and all over the world as an exhibitor at Innovate! Expo. Its mission is to institute a European-wide expo, conferencing, trend-setting and policy making platform, that looks beyond the traditional ways content, media and entertainment industries are being observed. As an exhibitor at Smart Cities Expo area you will have access to all mayors and interested parties within the city administrations responsible for Smart City Solution implementations. What we like about Webit is the coming together of many different players. Government, which is very very important, the banking partners, FinTech, Startup, the whole ecosystem coming together. I think it is a great opportunity for everyone to connect and to network. The best about Webit is the fact that there is a big diversity of people coming from different countries and also the fact that I can meet some very promising startup companies. Webit is the main event for building the entrepreneurial and digital ecosystem in Bulgaria and we are very happy to contribute to this being here. Webit was amazing for our B2B communications. We have met with a lot of partners, customers and potential clients. It has been a great opportunity for us to build great relationships.